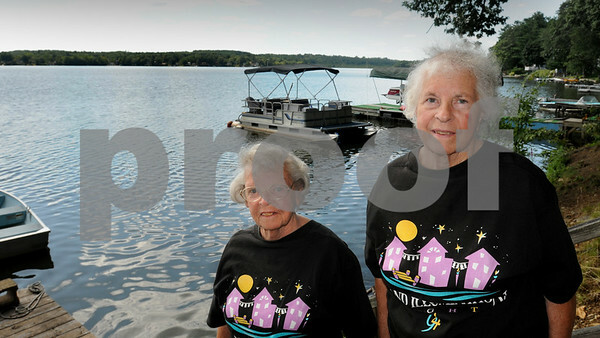 Amesbury: This year's Lake Attitash Grand Illumination Grand Marshalls are sisters Betty and Ernestine Goodwin, right. The two, wearing t-shirts from the 1994 event, went to their first illumintation event 80 years ago. Bryan Eaton/Staff Photo Newburyport Daily News Tuesday September 1, 2009.